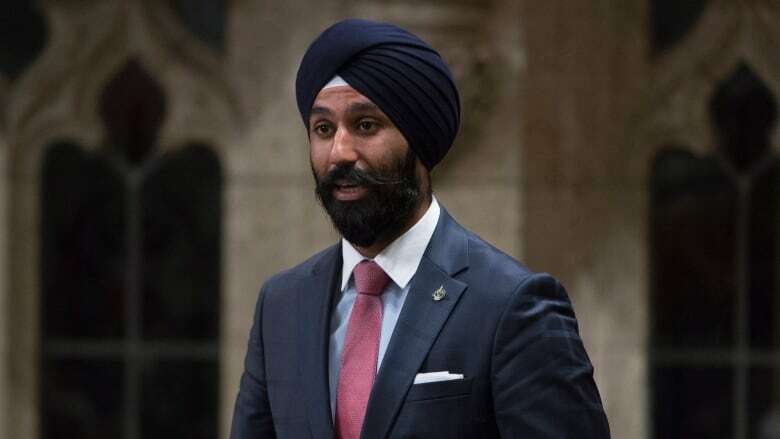 The Prime Minister's Office says Brampton East MP Raj Grewal is stepping away from federal politics to deal with a gambling problem that led him to incur "significant personal debts." The Prime Minister's Office says Brampton East MP Raj Grewal is stepping away from federal politics to deal with a gambling problem. The Ontario politician announced Thursday he was stepping down immediately due to "personal and medical reasons." In a statement Friday, the PMO said Grewal informed the office earlier this week that he was receiving treatment from a health professional "related to a gambling problem that led him to incur significant personal debts." "Based on these circumstances, we agreed that his decision to resign as member of Parliament for Brampton East was the right one," the statement said. "We hope he receives the support he needs." That language echoed a tweet sent out late Thursday by Prime Minister Justin Trudeau, a few hours after Grewal's announcement. Yesterday, I learned that Raj Grewal is facing serious personal challenges, and today he announced he is stepping down as Member of Parliament for Brampton East. While it may have been a difficult decision, it was the right one. I hope he receives the support he needs. The PMO also said in its statement it was unaware of any investigation by Peel Regional Police into Grewal's situation. The force itself told CBC that it would not confirm details about ongoing investigations. "We are not in a position to confirm details about any ongoing investigations and/or to release information about individuals who are under investigation due to privacy considerations and to maintain the integrity of our investigations," Danny Marttini-Chapman said in an email. The PMO, however, said that it did know the RCMP had made inquiries related to a complaint to the federal ethics commissioner earlier this year. NDP MP Charlie Angus asked the ethics commissioner to investigate Grewal for inviting Yusuf Yenilmez, CEO of ZGemi Inc., to a number of receptions in India during the prime minister's trip there in February. That ethics investigation has not been completed. Angus said he was struck by the link the PMO's statement drew between RCMP inquiries and the ethics commissioner's office. "I hadn't known the PMO had said that. That is a bombshell," he said. By law, the ethics commissioner must turn an investigation over to the RCMP if they see any indication of criminal activity. Angus said Trudeau has to explain what is going on. "The prime minister can't just drop that bombshell and walk away." Grewal's most recent filing with the ethics commissioner's office showed that he has been carrying lines of credit with three separate banks: RBC, TD Bank and Scotiabank. He also has a mortgage in conjunction with another individual with HSBC. His assets included joint ownership with another individual of a residential investment property in Toronto. His ethics filing also shows Grewal has been earning employment income from ZGemi Inc., a general contractor located in Brampton, and from the law firm Gahir & Associates, on top of his MP's salary.